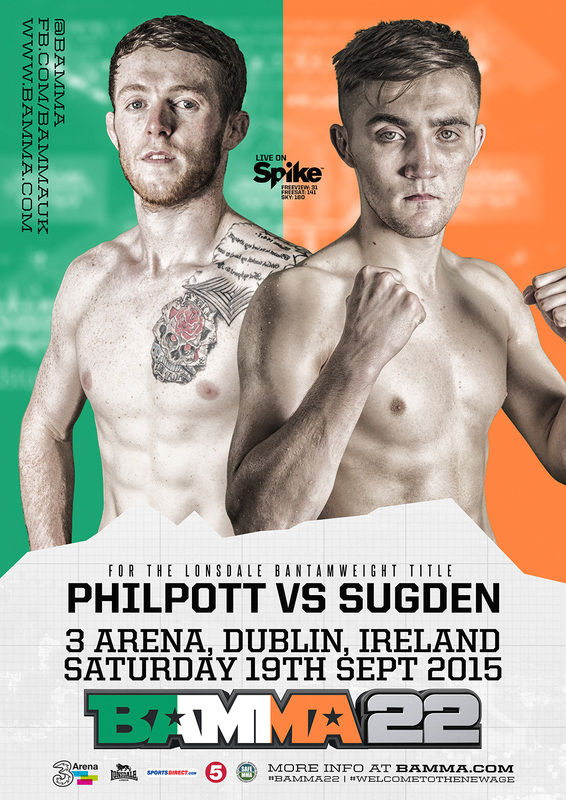 Regis ‘The First’ Sugden is set to go head to head with Alan ‘The Apprentice’ Philpott in Dublin on Saturday 19 September. The Suggy’s Gym striking sensation will be looking to secure his fourth consecutive victory in the cage when he takes on the Northern Ireland fighter for the Lonsdale Bantamweight Title at BAMMA 22. With wins against Paul Bentley, Manuel Billic and Ant Phillips already under his belt, Regis is relishing the matchup and planning to go all out in Dublin to grab the gold. “Better opponent, same intentions, same result… Be ready!” says the Suggy’s Gym 19 year-old.